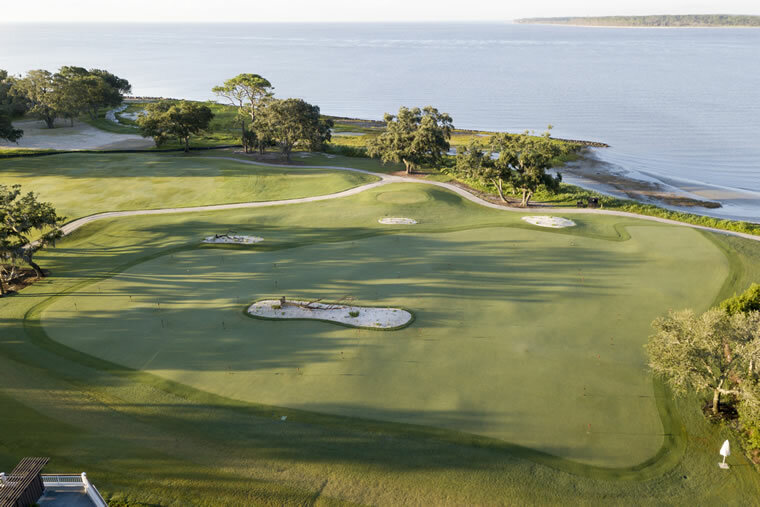 The new putting course at Sea Island was designed to allow avid golfers to hone their skills while encouraging people of all ages and experience levels to give the sport a try. When most golfers study a green, trying to predict where their putts will go, they don’t think about the layers of infrastructure under their feet—the drainage systems, the fine gravel, the sand and the carefully formulated rootzone mixture that is beneath the smooth green surface. For nearly 60 years, the United States Golf Association’s teams of agronomists, scientists and architects have done the necessary fretting about the technology and materials that go into building greens so there is consistent quality in putting surfaces throughout the country, and players can just focus on having fun. Based on extensive research, the USGA (the sport’s governing body for the U.S. and Mexico) issued updated recommendations for greens construction this year, including 31 pages of “Tips for Success” that serve as a bible of sorts for anyone involved in golf course creation. Architects everywhere are availing themselves of the USGA’s guidelines—including Mark Love and Davis Love III as they planned the renovation of the Plantation Course and the design of The Driftwood Course, an 18-hole putting venue situated on an acre of land in front of The Lodge. “The property … is a fabulous setting, and we tried to create a large green that would feel natural but have a lot of character,” Mark explains. He says that the vision he and Davis shared for the project was brought to life through the construction process, as the team created a gently undulating surface. Then they found the areas that would make the perfect hole locations before laying out each hole the same way they would if they were creating a full-size golf course. The result is a putting course that contains holes of varied lengths as well as uphill and downhill features and breaking putts. “One of our favorite spots is where the course works its way into a corner that also serves as the back tee for the Plantation Course’s 10th hole,” Mark adds. “This corner makes for some really interesting holes and helps connect the putting course to the full course, tying the whole area together.” In an effort to make it versatile, Mark notes that The Driftwood Course can even be played backward, or start from any hole. 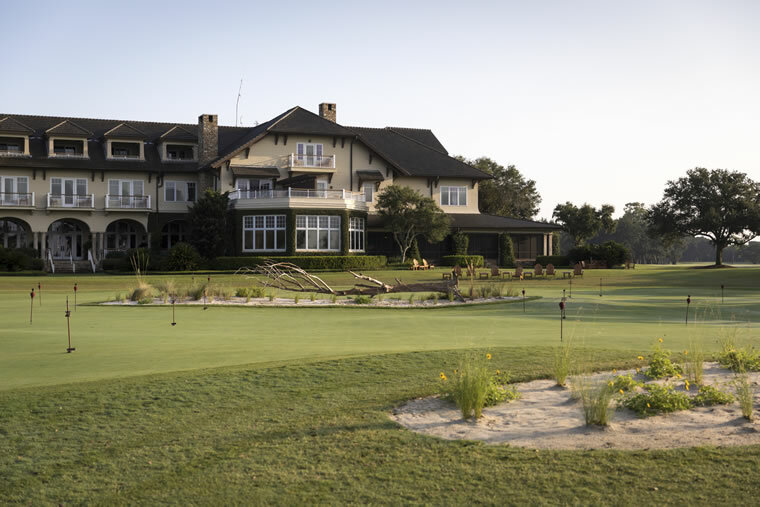 The Driftwood Course, which opened in August, is part of a growing wave of sophisticated putting courses—sophisticated in that they are as far removed from miniature golf as a racing-themed video game is from driving a real IndyCar. There’s no artificial grass, no windmills and no volcanoes to be found on these new putting courses; instead, expect immaculately groomed turf sculpted into challenges with all of the nuance of a PGA TOUR venue. The abbreviated facilities encourage people of all skill levels and ages to enjoy the essence of the game without the expense and time commitment.